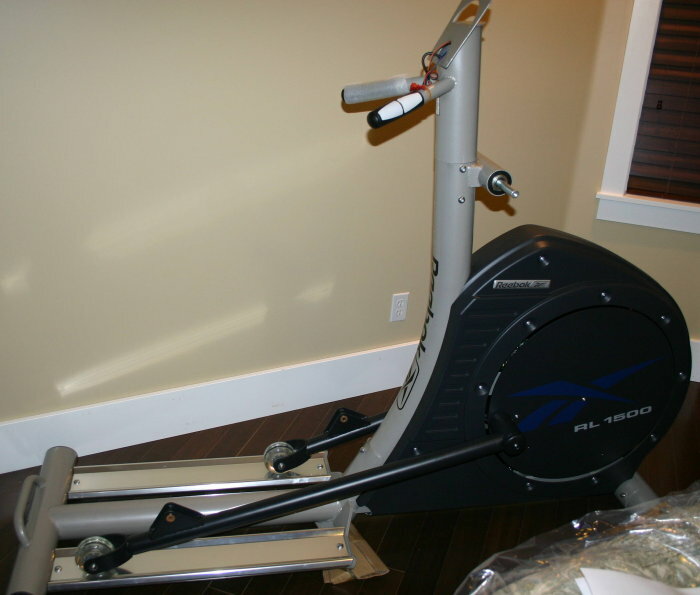 We ordered the Reebok RL 1500 online from Costco on Jan 1st, 2010 (no it was not a new year's resolution). We had been looking around locally for used ellipticals, but everything we found was pretty cheap, lame and had bad reviews online. 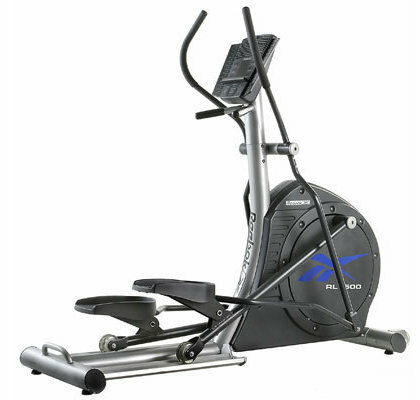 We shopped around for new ellipticals in the same price range as this one and it looked like a good value for the price. 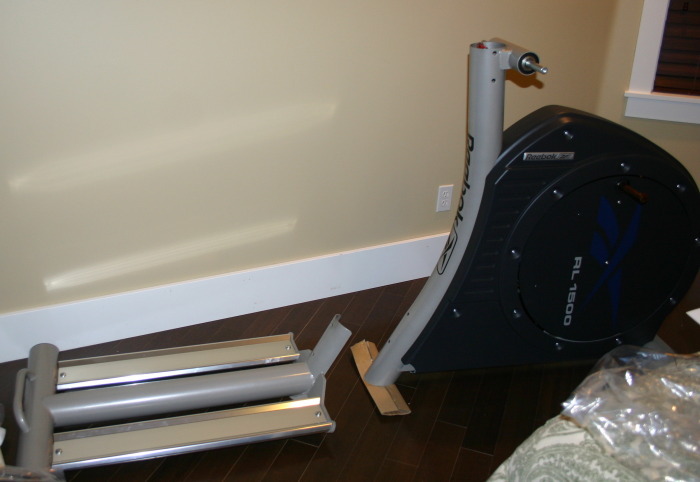 Some older reviews knocked it down a few stars because they compared it to ellipticals that cost just under $2,000! Lucky for us the price was down to $800 with delivery. Reebok.com still sells it for $1,499.99, but I'm sure they just want to establish a nice high price so Costco can sell them at a price that looks great. Compared to other ellipticals in that price range it looks pretty good. We didn't care too much about iFit programs or iPods. 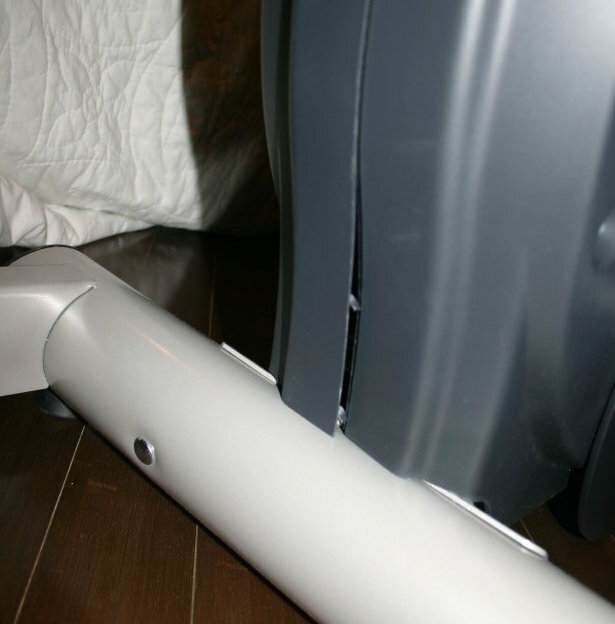 We were looking for a solid, quiet elliptical that would last a long time. Our Reebok RL 1500 was delivered by UPS Freight on Jan 12th. Icon Fitness makes them for Reebok and Icon is only hours from me so it didn't take the 3-5 weeks that Costco said it would take. I hoped that since Icon is in Logan, UT that maybe some part of it was made there, but the giant box it came in had my least favorite words "Made in China". The package is a beast, weighing in at almost 290 pounds. The fans can really move some air! The heart rate monitor built into the grips is pointless. If it will read a rate at all there is a slim chance that it is right. After a few weeks, our eliptical has a creak. 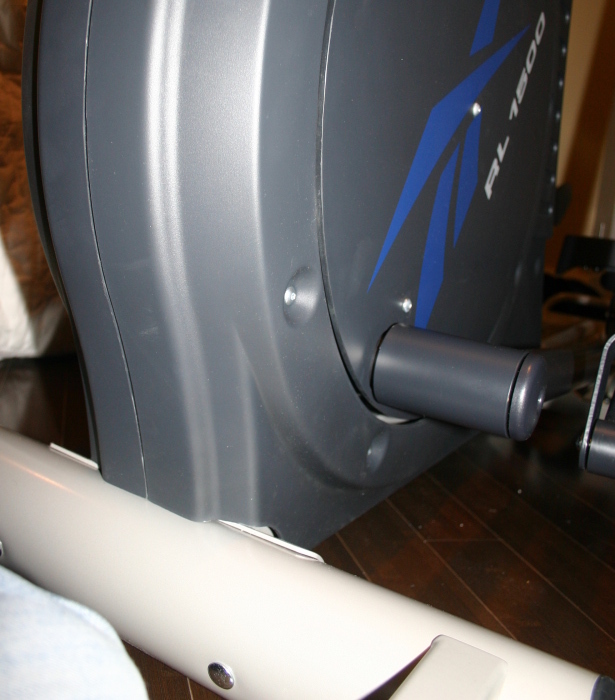 It may be almost as much work to unpack and get rid of all the packing materials as it is to assemble this elliptical. It took us about 2-1/2 hours to unpack and put this thing together. The front half of it is the hardest part to move around. We slid it out of the box and attached the wheels to it in the garage, then moved it into the house to put it together. The next biggest piece is the back half, the tracks. After that everything is pretty easy to manage, long handle bars and runners that you stand on. Everything is pretty heavy, it seems well made for the most part. The two major pieces, the front half (right side) makes up the bulk of the weight. The two halves are together, the roller arms are on and the hand grips/console tree is bolted to the front half. We had a little trouble with the two halves of the handlebars that move. They should just slide together, but ours wouldn't go together all the way. Because of that, the bolt holes in each piece didn't line up. We hauled them back out to the garage, found a 1" thick piece of cardboard it was packed in and used that to protect the parts from the 2-1/2 pound sledge hammer that was handy. It took 2-3 solid "taps" (as much as you can tap with a sledge hammer) to force the two halves together. After that the bolt holes lined up perfectly and we were back in business. We had to pound the two halves of the handelbars together in order to get the holes to line up. 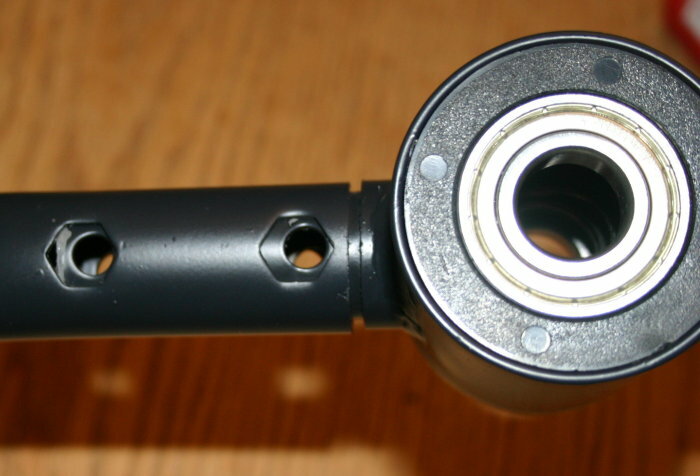 There are six places where you attach moving parts (the middle and end of the handle bars and the end of the runner that attaches to the wheel in front. Each has a "wave" washer & a thrust washer to put on. The manual points out that they should be centered around the bolt - makes sense, but it is much easier said than done. 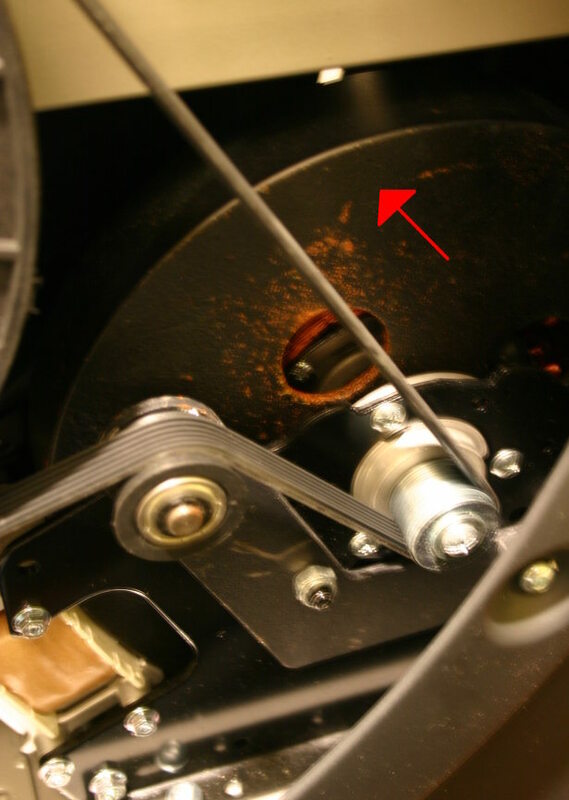 Sometimes the grease was enough to stick them in the right place and sometimes we'd have to use a piece of cardboard to lift them up between the two parts while tightening the bolt that holds it all together. It is a pain and takes some time to get right. Everything else was pretty straight forward and easy. We may have put it together faster, but we were trying not to wake up the kid in the next room. There was a paper included with the manual that advertised a service for someone to assemble it for you. It started at $119. It isn't hard enough to assemble that I'd ever consider paying that much to have someone do it for me. I finally got around to taking pictures and adding more detail. There is a before/after shot of the quality work done in China. It is clear that Reebok is OK with ugly stuff where you don't see it. 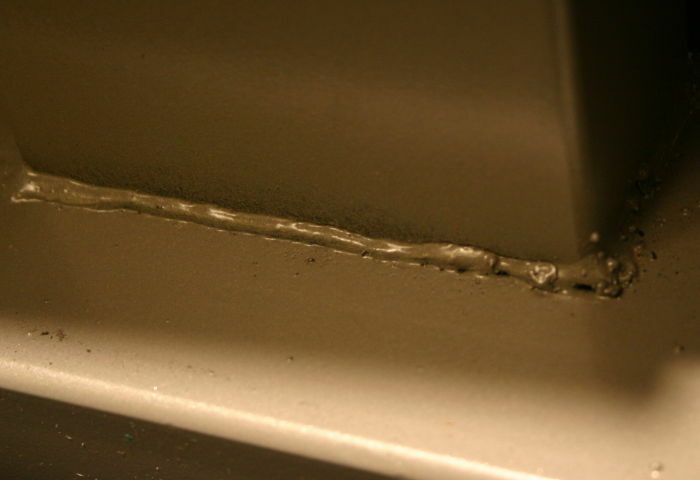 Welds that aren't covered look pretty good, but inside is another story. The two sides of the front cover weren't lined up properely before they bolted them together. It wasn't hard to loosen the bolts and align the cover right, but for $800 I shouldn't have to do that. An ugly weld inside the Reebok RL-1500. There are also some rusty cast iron parts inside. We have an annoying creek that I narrowed down to the generator or its mount. If I push the generator where the arrow is, with just moderate pressure using one finger, I get the exact same noise that happens once per step while using the machine. I'm sure it isn't this cast piece itself, but it is able to move side to side enough to make some noise. So far we have both used the Reebok RL 1500 every day since we received it. At first it was whisper quiet. The only sound it made was a quiet whirring sound. (We have an annoying creaking sound now - Feb 2010). We used it in the room right next to our sleeping toddler with only one door closed. After a few days it started to get louder. A quick check of the left foot step showed we missed a few (of the seven) bolts that holds it on. Problem solved. A few more days and there were more creaking and cracking noises when under heavy use. The handle bar that moves is in two pieces (the ones I had to pound together with a hammer). I don't think the bolts on it had loosened, but instead what ever was inside that made it difficult to put together had worn off and allowed the joint to creak. The bolts tightened right up and the creaking went away. Keep your tools handy for the first week so you can keep on top of the noises. If I see that something keeps coming loose I'll use some loc-tite and fix it for good. In use, the machine feels smooth, solid and has a natural movement. Compared to some demos of other ellipticals we tried at Wal-mart this thing is a dream. 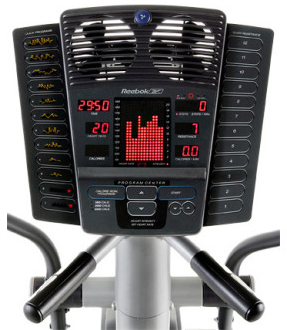 I'm sure there are nicer machines in a gym, but there isn't much to complain about with this Reebok elliptical. Does not need to be plugged in. Has a built-in rechargable battery that charges as you work out. Download the Reebok RL 1500 manual in PDF format.